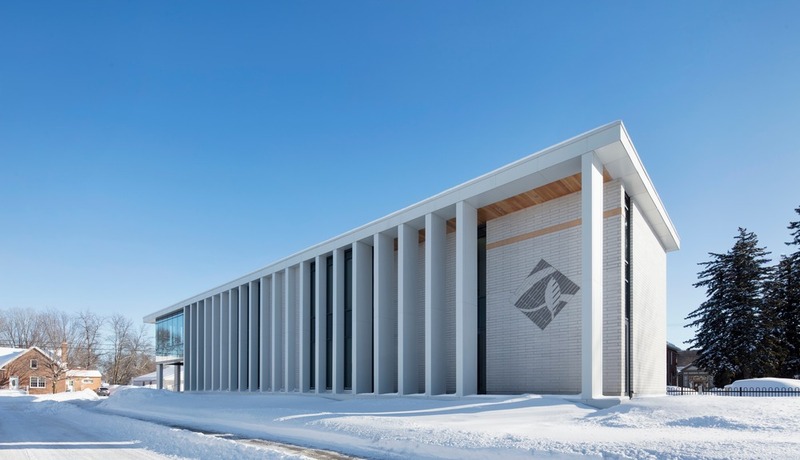 Construction was recently completed on Rigaud City Hall, a new civic administration facility for a small Quebec community fifty kilometres west of Montreal. Located at the confluence of the Rigaud and Ottawa rivers, Rigaud is noted for its natural attractions and historic village centre which dates back to New France. 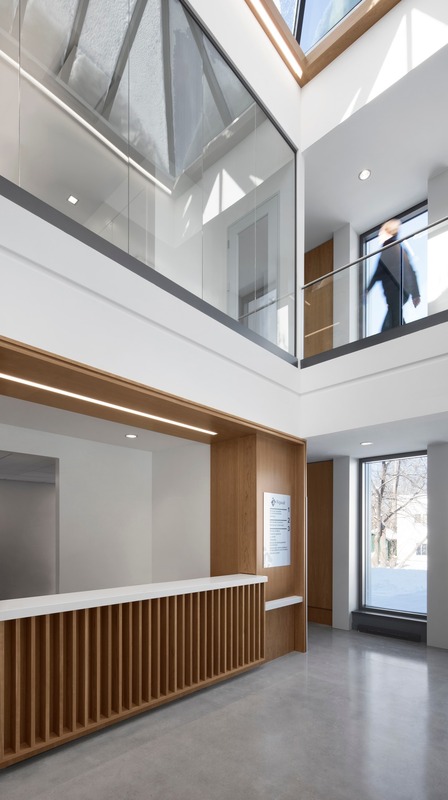 Designed by Affleck de la Riva Architects, the project gives new meaning to public administration and municipal activities in Rigaud through an urban redevelopment plan that proposes both the reorganisation of a section of the historic village center and the new city hall building. A pedestrian promenade connects existing public amenities with new facilities, redevelops several vacant lots and links the heart of the village to the Rigaud River. 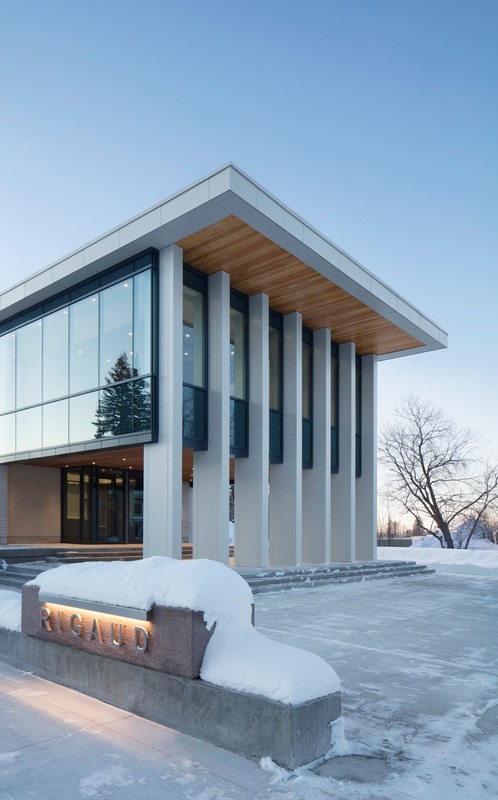 While Rigaud City Hall is a modest building respectful of the scale of its municipality, it projects a strong civic image. 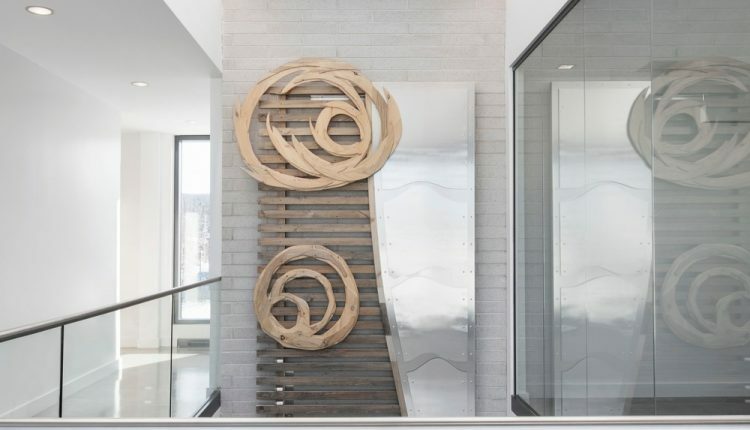 Accessible and close to the ground, in dialogue with both the citizen and its territory, the new city hall symbolizes community, pride and participation in collective life. The architecture of the new city hall alludes to the archetype of the classical temple whose form is associated with the birth of democracy. White on white, the building evokes clarity, honesty and freedom of expression—values essential to the proper functioning of civil society. 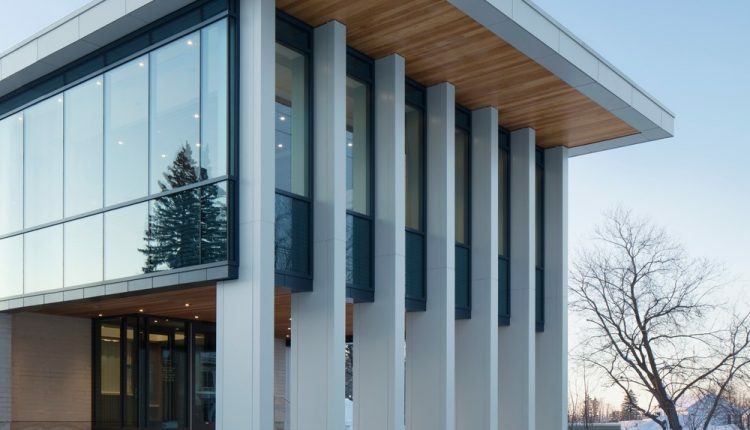 Luminous and unadorned, the building blends into the northern landscape of the Ottawa Valley. The council chamber is suspended above the plaza and main entrance to the city hall creating a signal highly visible from neighbouring streets. Fully glazed on three facades, the chamber presents the exercise of democracy as a transparent activity. Beneath this volume a generous outdoor area offers a protected space for meetings and gatherings. The east and north facades of the building are punctuated by a white aluminum colonnade. The columns give way to white masonry on the other facades. The integration of the logo of the City of Rigaud in the masonry of the north façade adds a touch of color and identifies the municipal function of the building. 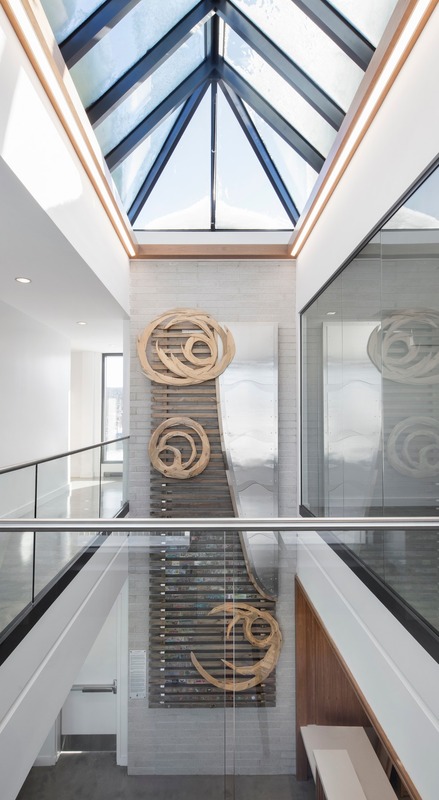 Passing through the colonnade, the main entry leads directly to a foyer illuminated by a skylight. 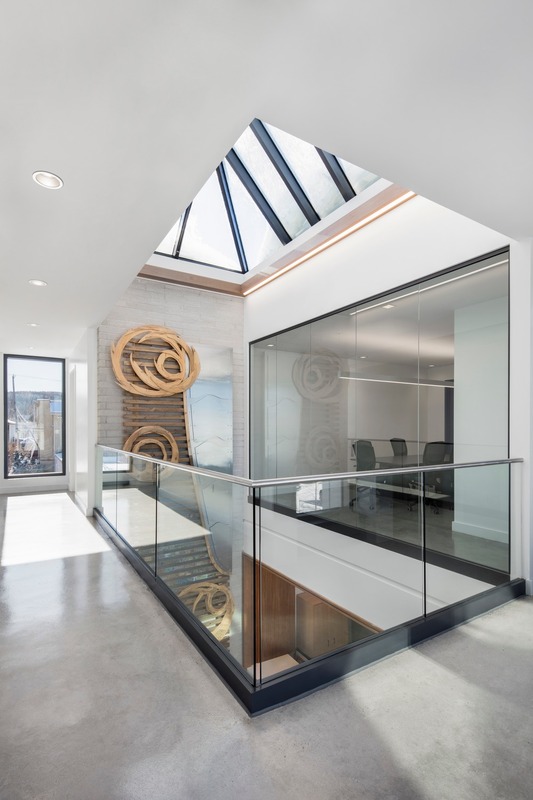 Open on two floors, the foyer extends laterally towards a corridor along the colonnade. A nordic’stoa’ that offers continuous contact with the landscape, this is a privileged meeting place for citizens and administrators. 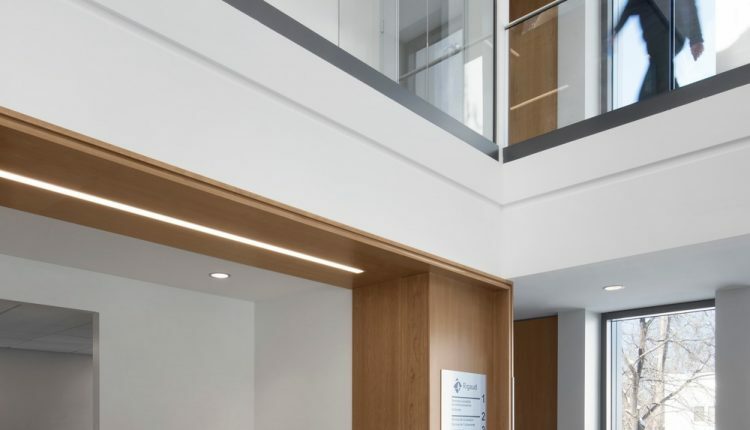 While nordicity is an essential element of the image of the city hall, the building also responds to climatic realities and provides a high level of comfort to its users. The integration of the building into the site’s topography creates three levels and buries the first level on the north side. 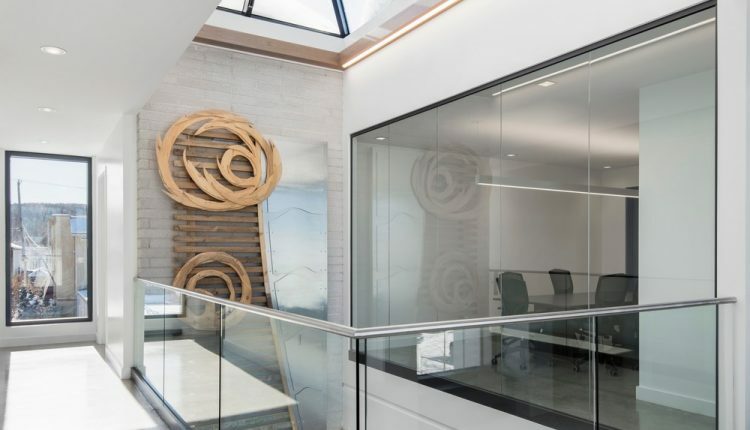 Technical rooms are located in this buried area, while the offices on the south side are distributed over three floors with natural lighting and passive solar gains offered on each level.